In the Dry Gables: Hands Together story “A Great Burden is Lifted,” Wilhelm Bauer has a thirty-year plan for Dry Gables, but all of it is upturned when his wife Jane tells him some good news: they are going to have a baby! Wilhelm is, of course, thrilled, but he is also overwhelmed by the uncertainty this brings. He immediately sits down at his drafting table and creates a new plan, but his intensity and seriousness is difficult for everyone around him. Luckily his wife Jane knows exactly what he needs — a little fun! When my first baby was growing in my belly, I had an almost animal instinct to knit. It was like my subconscious brain didn't think that there were going to be stores in existence to buy clothes from after the baby was born. The needles were constantly in my hands. I think I made at least half a dozen tiny sweaters, in addition to hats and booties and rattles and mittens and goodness knows what else. Like Wilhelm's intense planning, my knitting was probably overkill, but my little guy was certainly cozy once he decided to come out into the world! Whether you're nesting yourself or you know someone who is, this little hat is adorably sweet on a new baby. 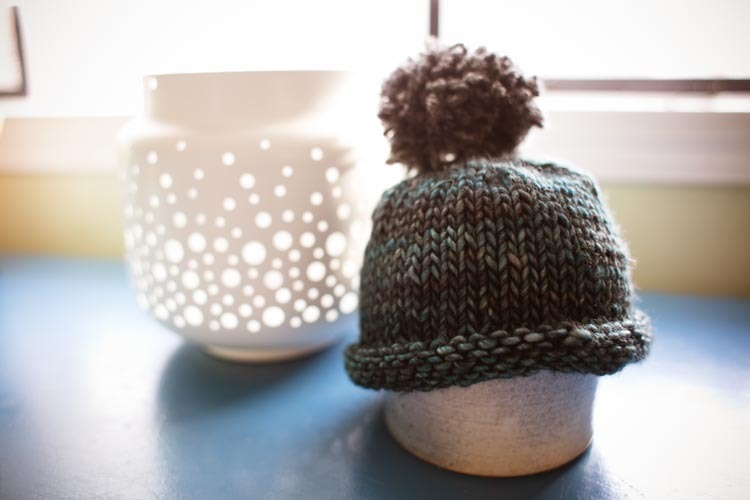 The purled brim is snug enough to stay on, yet also stretchy enough to accommodate sometimes hard-to-size newborn heads. 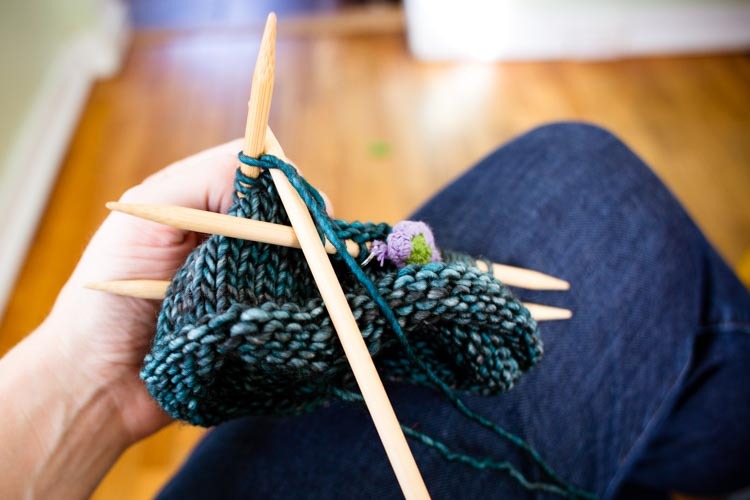 Using bulky yarn, it knits up in an hour or two and would make a great project for a newer knitter trying to get started with double-pointed needles. The pompom for the top is optional, but it's so cute bobbling along on top of a tiny head that I highly recommend it. Cast on 50 stitches. Being careful not to twist the stitches, join in the round using the stitch marker to mark the beginning of the round. 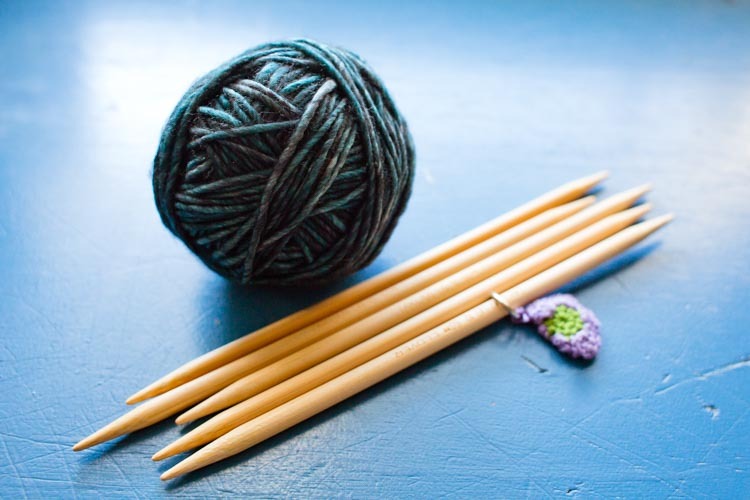 Purl for 1 ¼ inches. Round 1: (ssk, k6, k2tog) repeat to end of row. Round 2 (and all even-numbered rounds): k to end of row. Round 3: (ssk, k4, k2tog) repeat to end of row. Round 5: (ssk, k2, k2tog) repeat to end of row. Round 7: (ssk, k2tog) repeat to end of row. Round 9: (ssk) repeat to end of row Round 10: k2tog, k2tog, k1. Thread the tail of the yarn onto a yarn needle, and run it through the remaining stitches. Cinch the top of the hat closed, and tie off the tail, tightly and discreetly, near the top of the hat. Weave in the end of the tail at the top of the hat, as well as any yarn tail leftover from your cast-on at the brim of the hat. 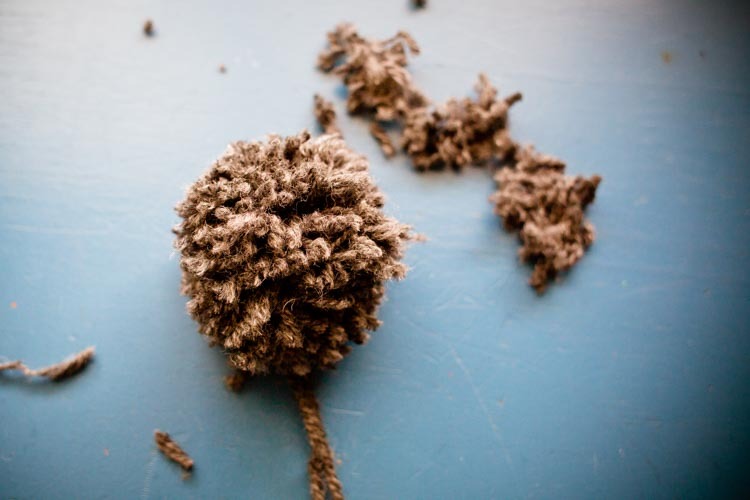 To make the pompom, cut a 6-inch piece of the scrap yarn and set it aside. 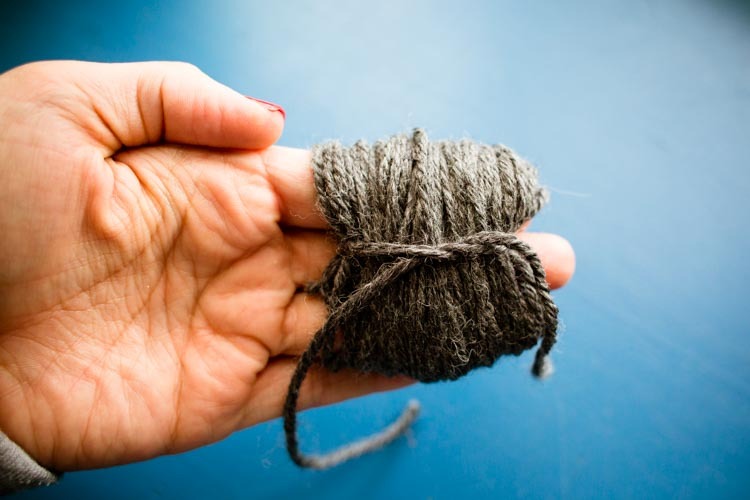 Now, wrap the remaining scrap yarn around 3 fingers of your non-dominant hand. The more yarn you wrap, the fatter and fluffier your pompom will be. When you're finished wrapping, part your fingers slightly between your pointer and middle fingers. 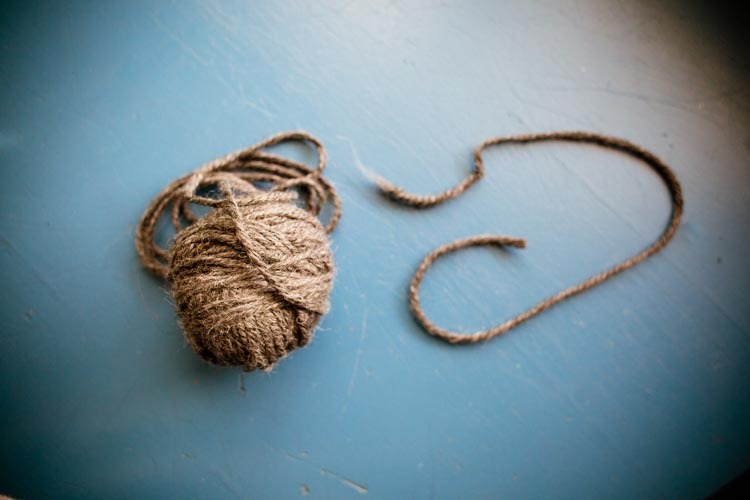 Use the 6-inch piece of yarn you cut to tie around the middle of the wrap, cinching it tightly with a knot. Use sharp scissors to cut the loops at either end of the wrap, trimming as necessary to get a nice, round shape. 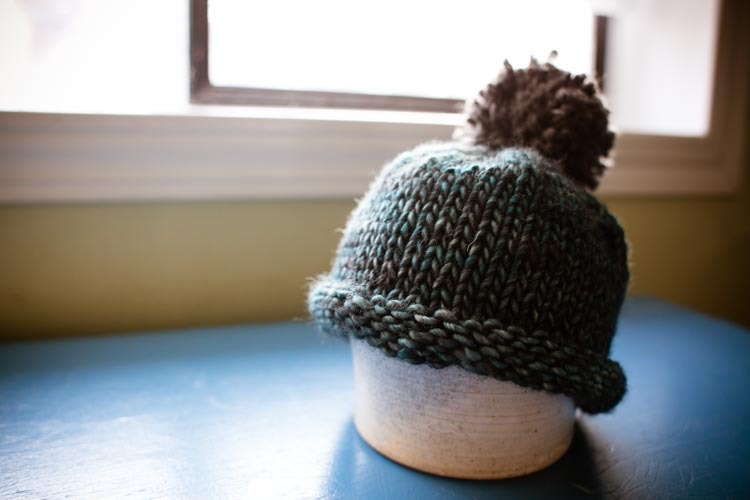 Last, thread the tails (from the 6-inch piece of yarn you cinched the middle with) onto a yarn needle, and use them to tie the pompom to the top of the hat. 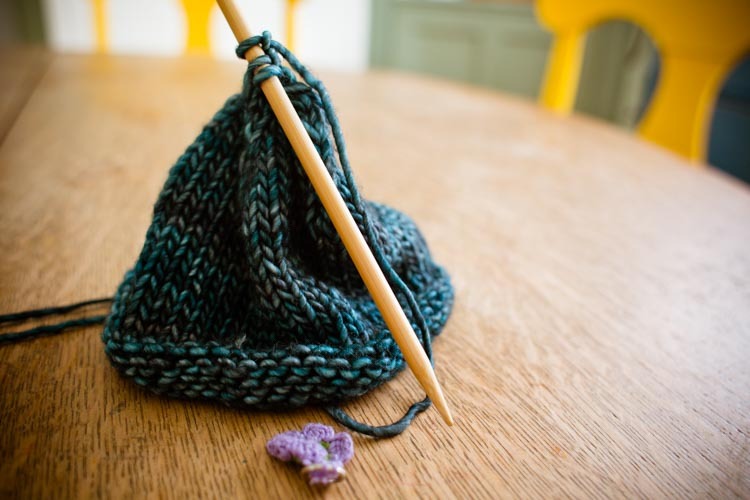 Once again, use the yarn needle to weave in the ends so that they don't show on the outside of the hat. Hands Together builds on the first Dry Gables Series – with more of the Gold Rush era characters you have grown to love! This series has plenty of American history and United States geography - plus they are tailored to be used by parents and educators as a way of better understanding their children. Every one of the stories is accompanied by a video and blog post that pulls out the lesson and offers practical skills you can try at home.